La Nozillière is a small and charming family campsite in Marval-Milhaguet, located in the heart of the Parc Naturel Régional Périgord Limousin on the border of the Haute-Vienne and the Dordogne. At our park-like camping you will find spacious safari tents, large camping pitches and a lovely gite. La Nozillière is synonymous with tranquility and freedom in a relaxing, congenial atmosphere. In the surroundings you will find both beautiful nature and culture, including vast oak and chestnut forests and an important castle route. There are many possibilities for sports and family activities. Moreover, on the border of the Haute-Vienne and the Dordogne you will find a pleasant climate and an enchanting landscape with authentic villages and friendly people. There are 11 safari tents (sleeping up to 6 people) on our campsite, 20 very large pitches (of 300 m2), a neat and well-maintained sanitary building located around our 19th century farm house built from the natural stone that is so characteristic for the region. 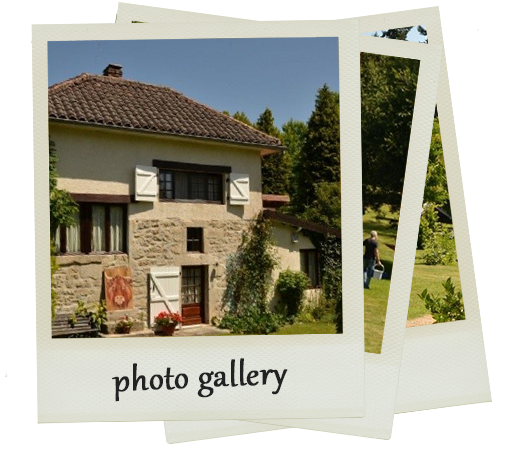 Next to our farm house there is the comfortable and stylish gite ‘Le Bonheur’ with its private terrace (housing 4 people). During hot summer days the swimming pools provide for some welcome cooling. We offer fresh, homemade pizzas, two times a week table d'hote, a BBQ for meat lovers, and of course an evening with a delicious Limousin burger, using as many local and seasonal products as possible. With our breakfast service you can order your croissants en baguettes the day before, so you can enjoy them the next morning. So, if you are looking for a relaxing holiday full of nature, culture and cuisine, you are most welcome at La Nozillière.